Additionally, we have implemented Batch-focused MES systems. 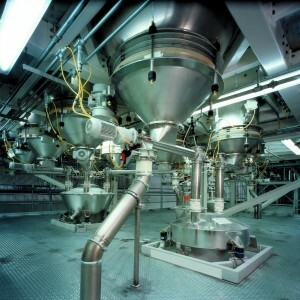 Out of the several thousand projects we have completed, the majority are related to ingredient automation (batching) covering multiple industries with a variety of both dry and liquid ingredients. BCI has a customer-driven, flexible software product we built to answer the need for better batch process workflow management. We introduce BCI CORE™ Batching Suite, based on more than two decades of batch MES experience. 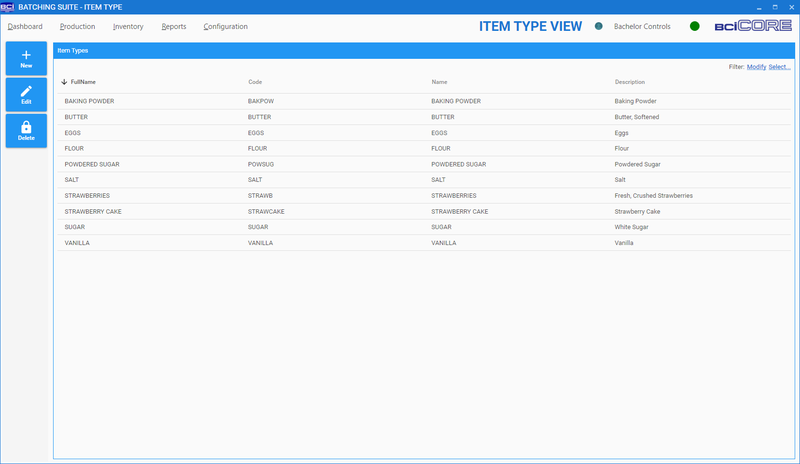 The marketplace is starved for this kind of capable, flexible, configurable, batch-focused MES software product. An enterprise-wide ability to continually monitor and control the operation, increasing efficiency and product quality. 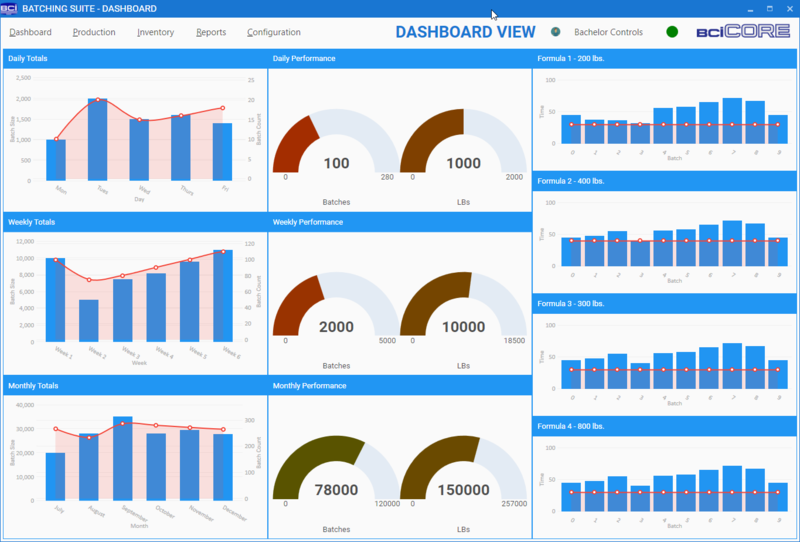 Gain insight into performance data on a daily, weekly, monthly basis. Keep track of the KPI’s that impact your business such as throughput by formula, capacity per day/week/month, etc. 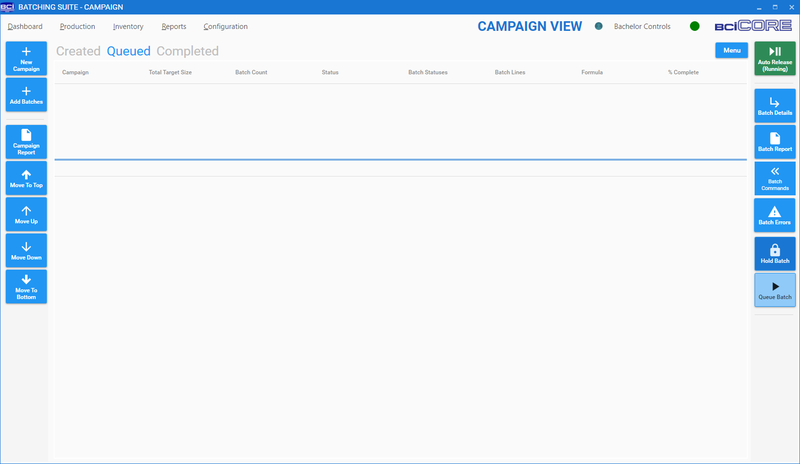 Manage your production schedule by campaigns. Each campaign is a set of batches running the same formula / recipe. 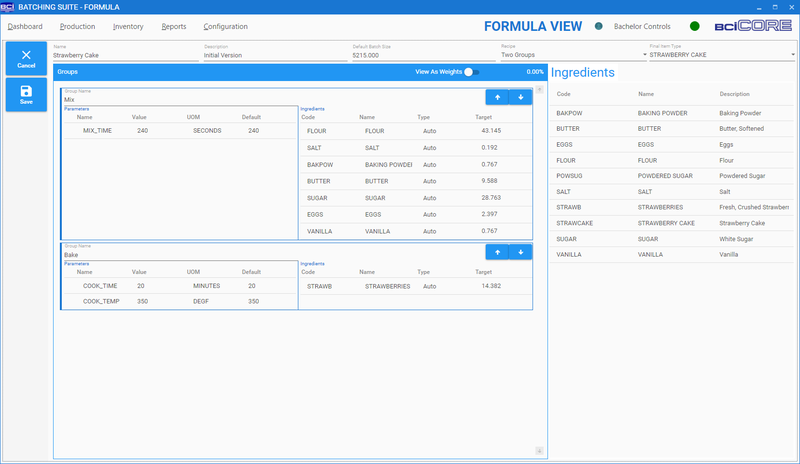 Create formulas using a simple drag and drop interface for ingredients and set related parameters (mix times, speeds, etc...). Version control is also provided so that a supervisor can retrieve a previous formula should that become necessary. 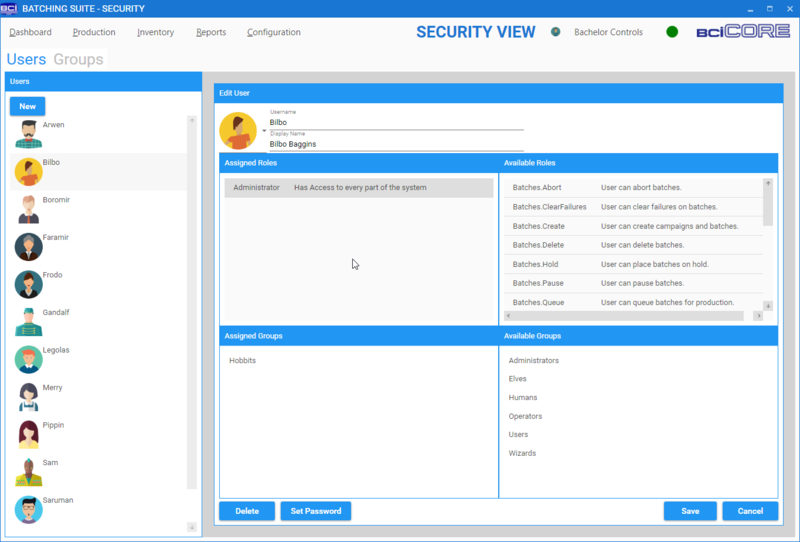 Secure the system by assigning roles to individuals or to groups.